Operated with spring-and-seal type washerless cartridges (Which is Delta or Peerless interchangeable). 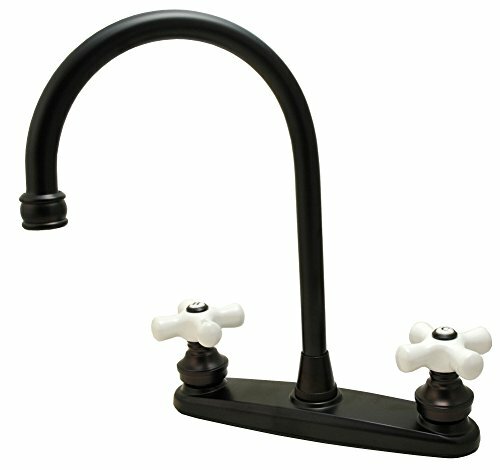 Last longer and less expensive to maintain than ceramic-cartridge faucets. 1/2"-male threaded inlet. Sprayer included. We charge 20% re-stocking for returned merchandise. Please make sure it fits your needs before purchase. Made of no-lead brass ( less than 0.25% lead content ). This faucet is complied with California AB1953 Lead Plumbing Law. 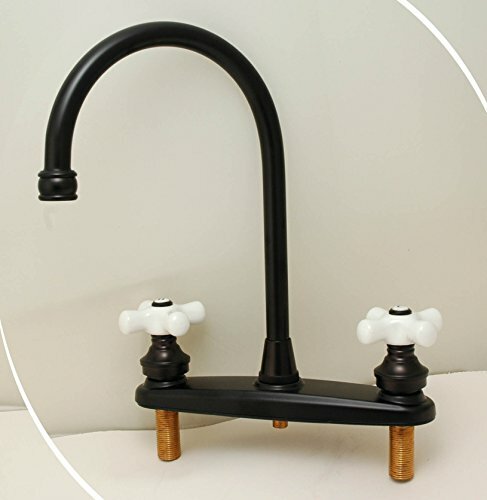 Durable Washerless Cartridges, ABS Sink Sprayer, (Option with no sprayer Please select the correct Options) Brass Water Way (NOT CHEAP PLASTIC WATER WAY) Spout Reach about 9"; Spout Height about 12"